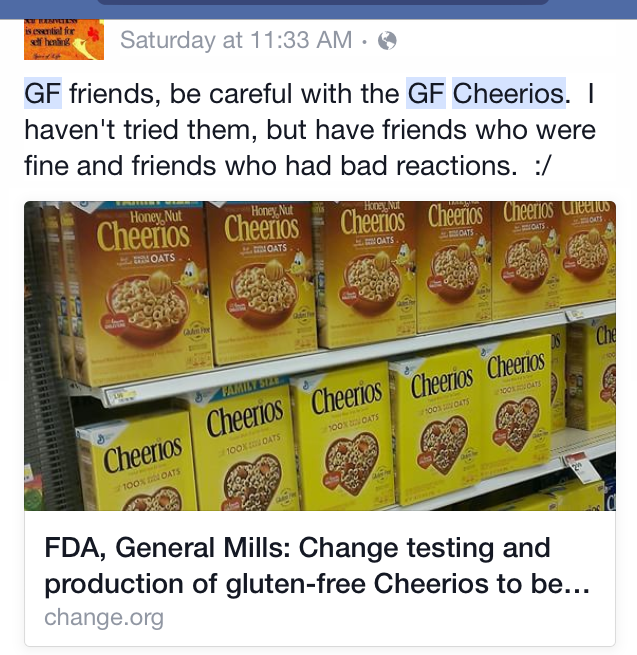 Cheerios… GF for real? or just really close to being GF?! 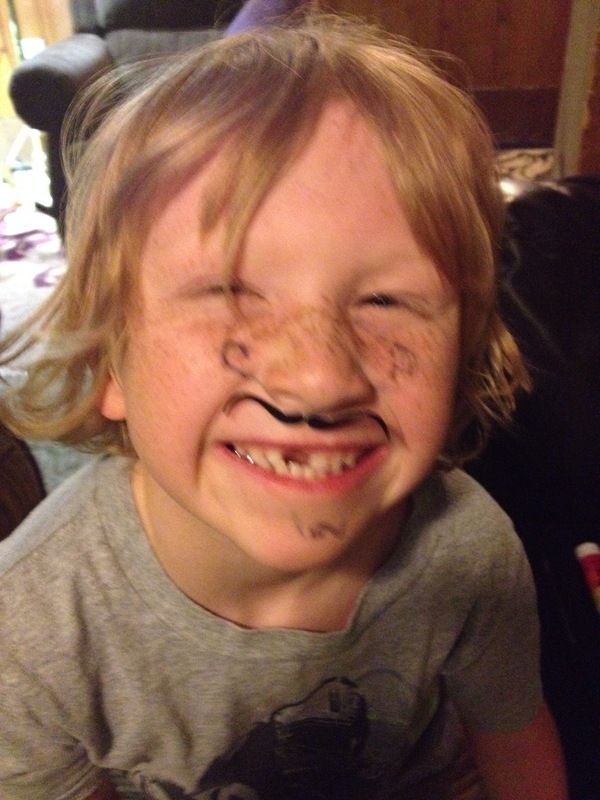 As his mother, I can tell when my little Eli has been glutened! It was exactly what I was thinking about when I saw this while scrolling through Facebook. What! Seriously! Cheerios aren’t quite safe for the sensitive? 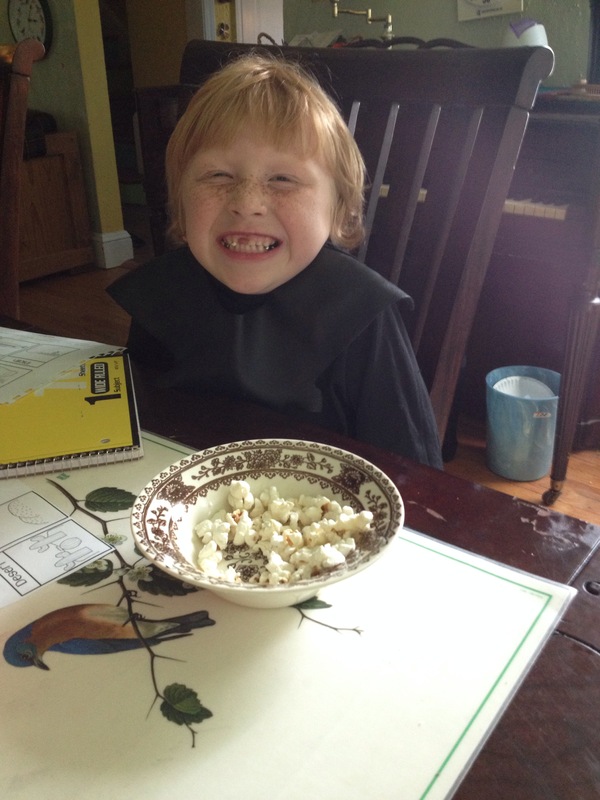 Eli has been so excited to about cheerios being GF… and he’s eaten like 100 bowls…since yesterday! I have been googling the facts… and since it’s a brand new process and product, there wasn’t a whole lot on it concerning people’s experiences with eating it. 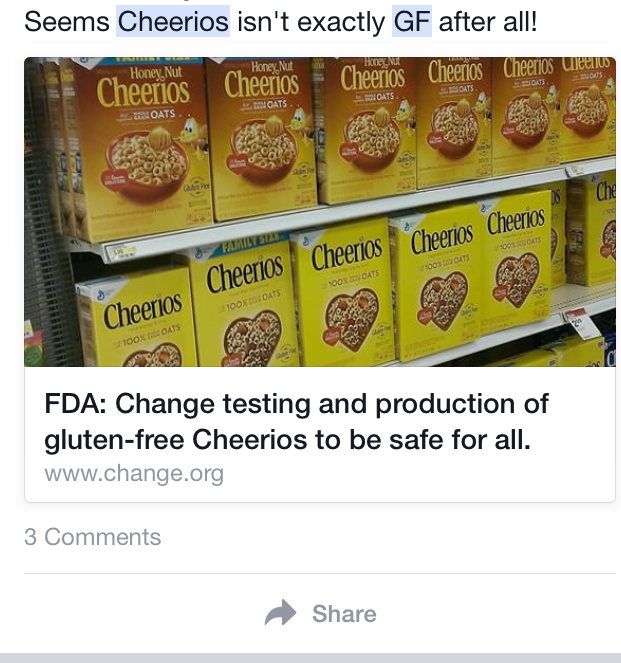 *I would love to hear from other’s about their experience with gluten-free cheerios. * I know, I know… Stay away from packaged food! I have been so happy with being able to have corn products in our life that we have gone off the deep end! 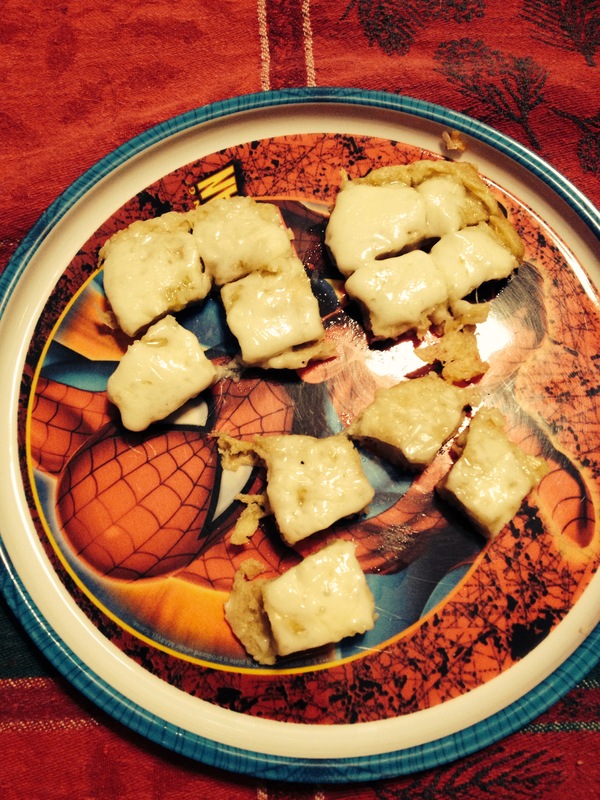 … it occurred to me that we hadn’t tried reintroducing corn/ corn derivatives back into Eli’s diet. 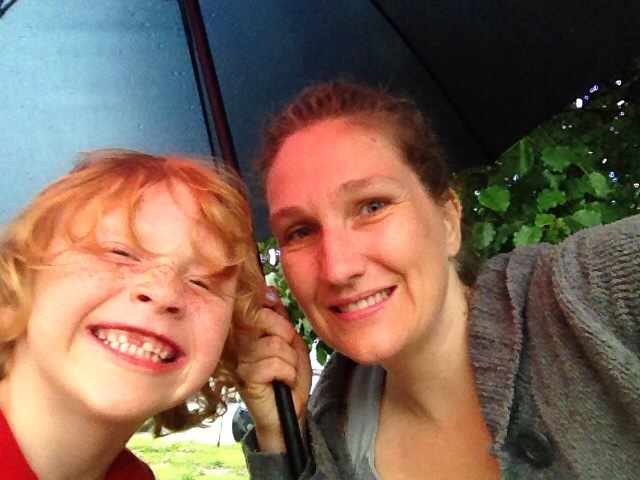 We went slow… Just starting with simple things like salt and citric acid and xanthum gum. 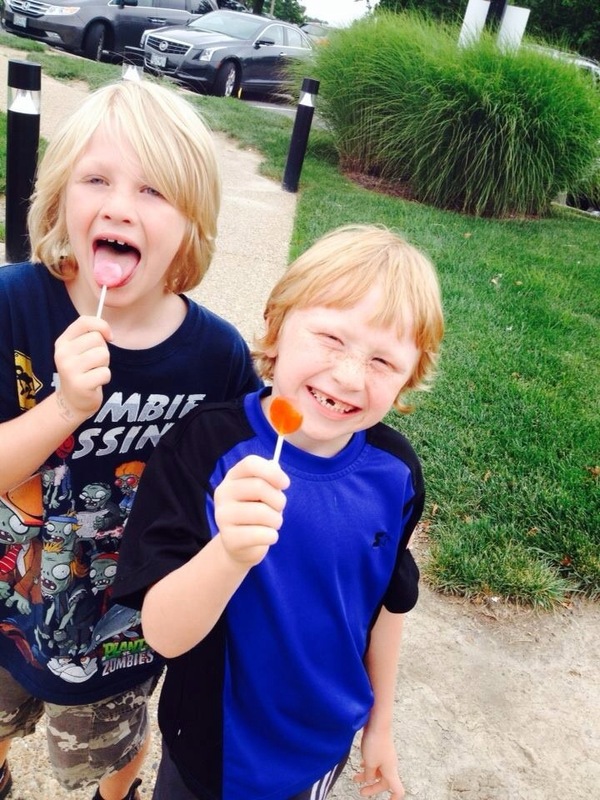 This Trader Joe’s lollipop was Eli’s first piece of candy in FOREVER! 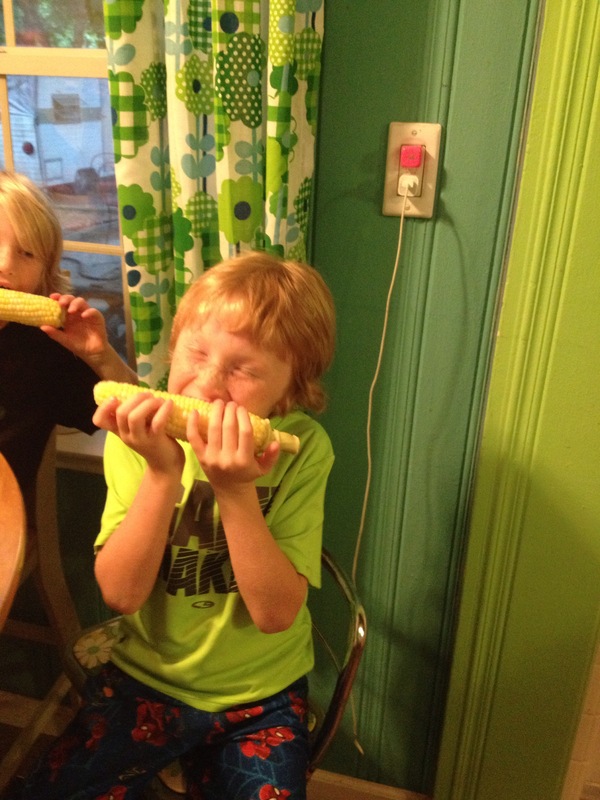 But the real deal was when Eli ate corn on the cob! 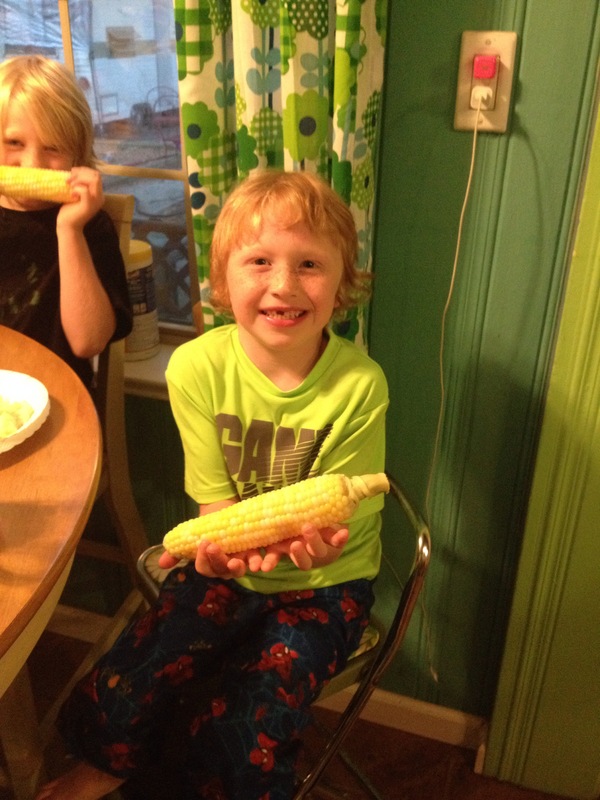 Eli happened to have his well doctor’s visit and she was so happy that we had taken the risk and had Eli try corn. She also wasn’t surprised that he still can’t eat gluten, she said more and more people are finding that gluten affects their health in one way or another. 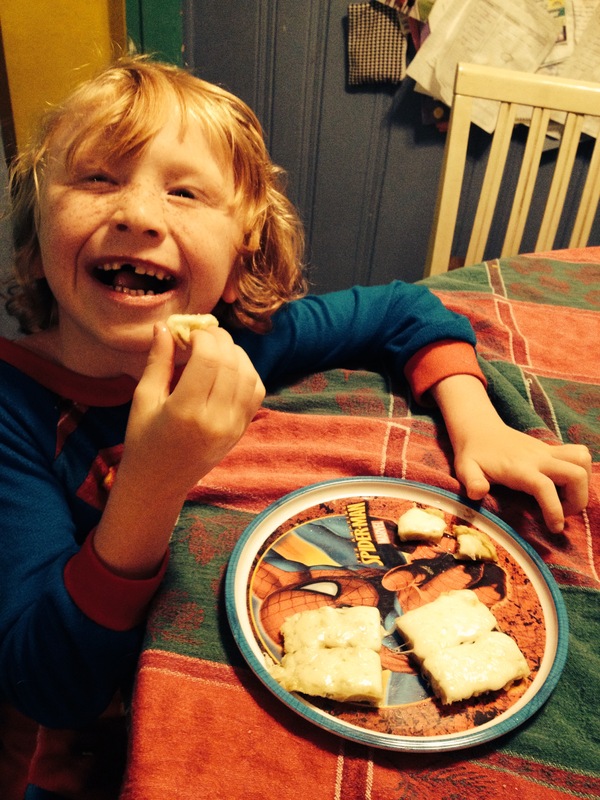 She also assured us that his gluten sensitivity is not a sign of an underline issue… He’s a healthy “headstrong” 5 year old boy! Naturally, grocery shopping has become so much fun! There are SO many options of food to eat! LOL- I feel like a kid in the candy store!! 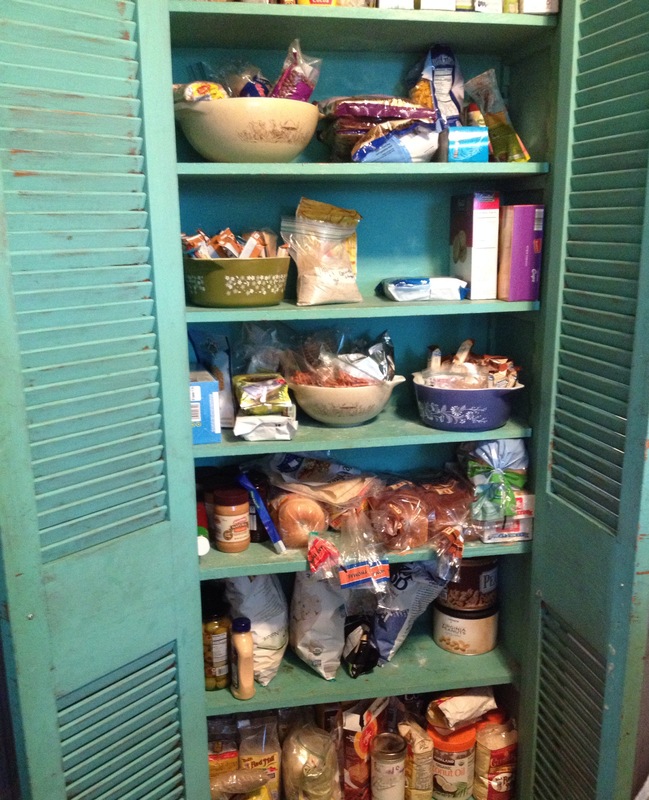 I even reorganized the kitchen pantry using some new-found vintage Pyrex bowls! Yes – that is a whole entire shelf devoted to sandwiches! One of my first blog posts was about trying to love my kitchen despite the frustrations of a restricted diet. 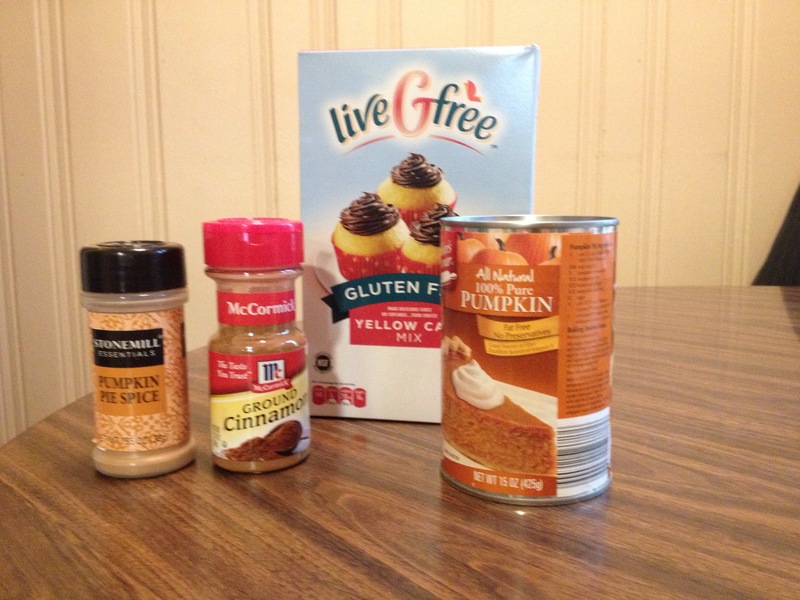 I happily accept that my kitchen is 1/2 gluten free! 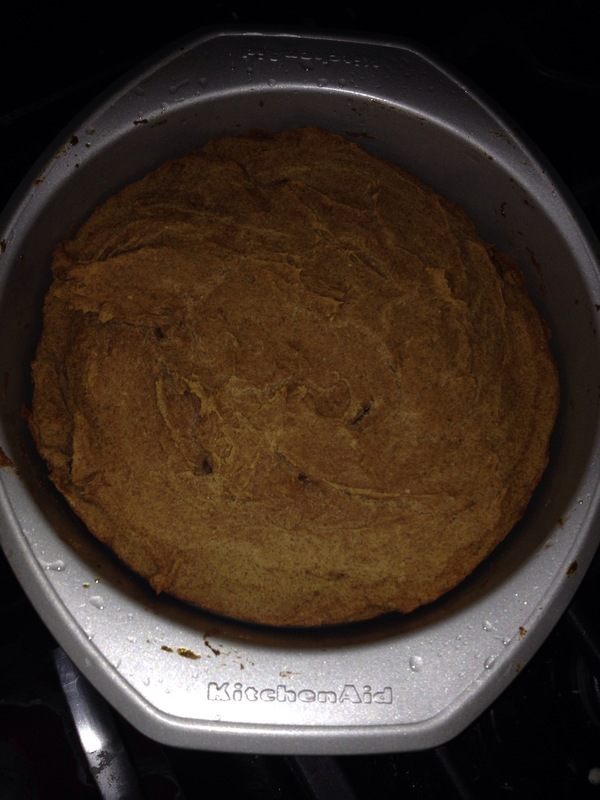 I feel like a cook unleashed, a baker unchained… a mother with cooking options!! 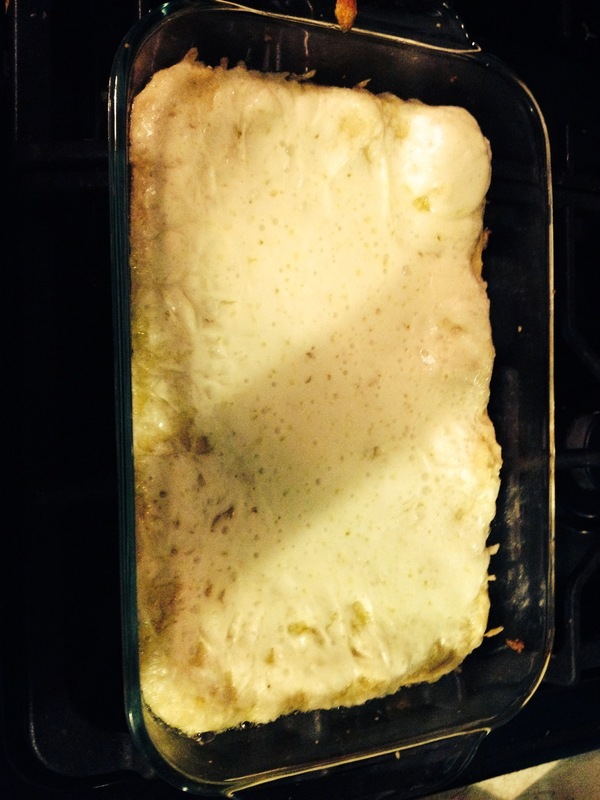 This is the EASIEST gluten-free/ corn-free garlic bread ever… and the YUMMIEST!! 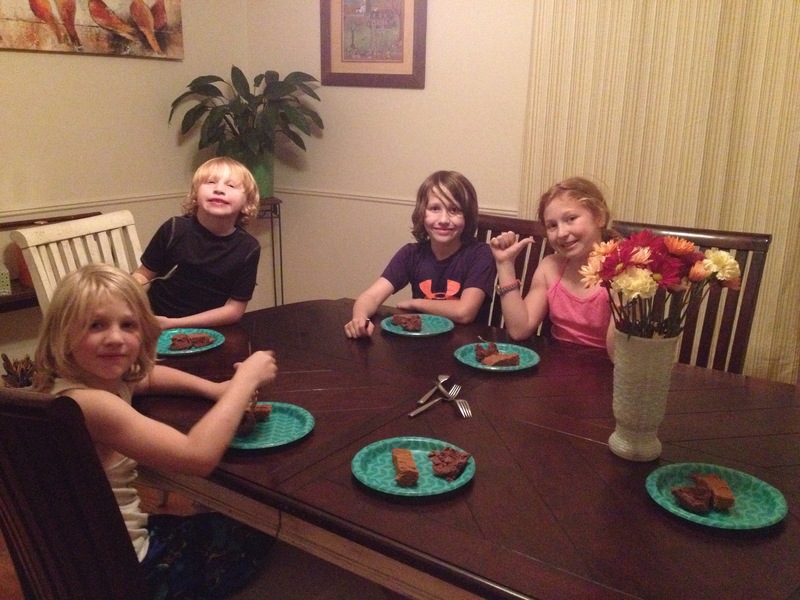 We got home late last night from a swim meet and the kids were starving!!!! We stopped at Aldi and bought a cheese pizza for the older three kids but we had to get creative for a pizza-like food for Eli. We were out of sauce but I did have a good crust recipe that I made up… So I immediately got to work in the kitchen – and came up with something delicious!!! 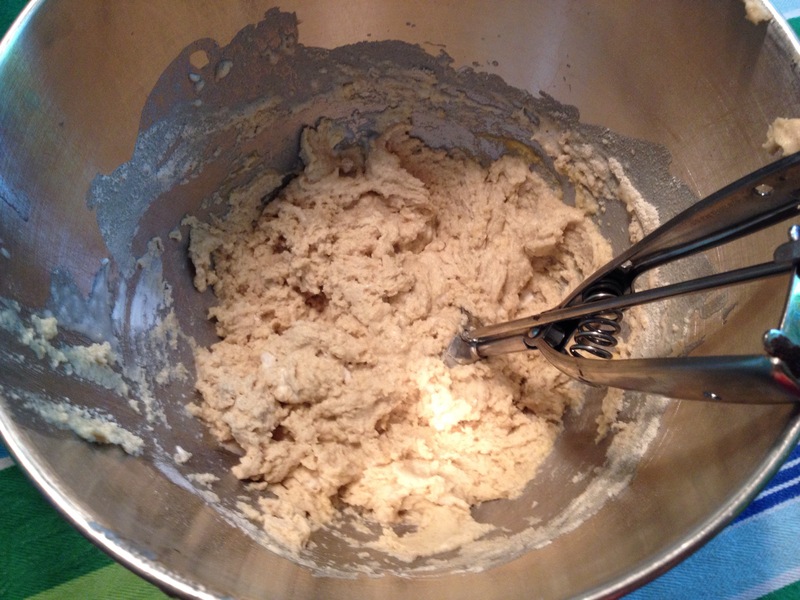 *mix together and pour into a well greased 11×7 pan. While the crust (bread) is baking prepare the oil and garlic mixture. Grate about 3 cloves of garlic into a bowl. Mix in 1 Tablespoon of olive oil and a pinch of sea salt. Take the baked crust (bread) out of the oven and brush the garlic – oil mixture on it. Grate your favorite cheese on top. Put back into oven for 10 more minutes. I’m not sure if this counts as a mistake or a learning experience. …by now most of my readers are probably familiar with our diet: gluten-free and corn-derived free. We adhere to this strict diet as a family because foods containing such ingredients affect my youngest son on an emotional level. He becomes depressed, anxious, and impulsive. We have been gluten free for 2 1/2 years and corn free for 1 1/2 years. That’s a really long time in food years… Almost an eternity! And I know it’s my fault! I gave him a nice long nap this afternoon! I’m brewing some dandelion tea (with some lemon for taste) to aid in digestion. 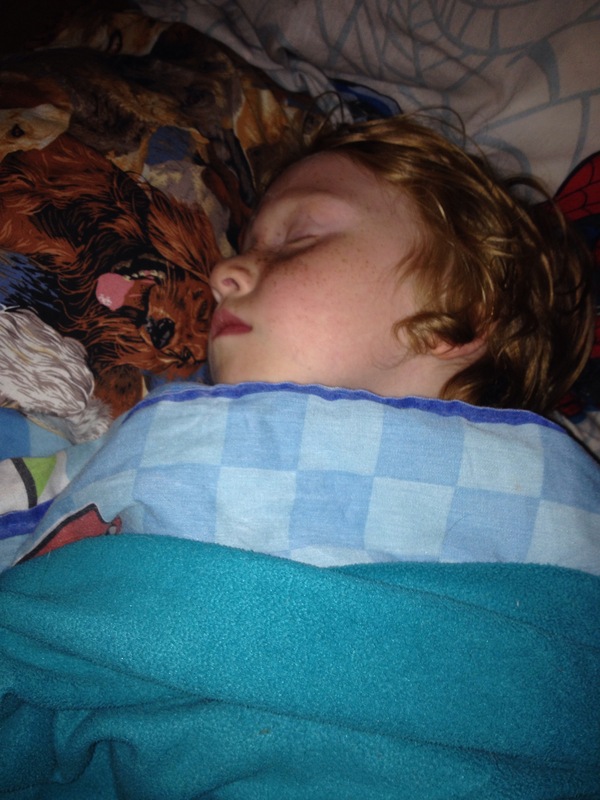 And I’m vowing to keep feeding my little Eli the fresh, organic fruits, veggies, and beans he deserves! Eli is a dog lover! He wore a puppy outfit that I found at Goodwill for $2 almost everyday for 6 months! 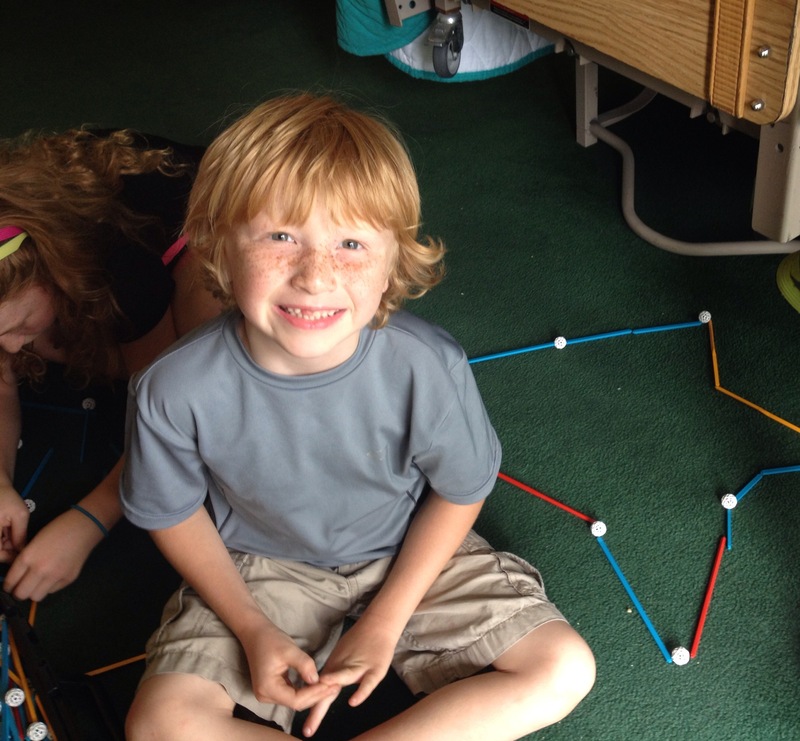 He only stopped because he outgrew it! She had seen a picture of Eli in his costume on Facebook, so she printed it out along with a homemade label that said PUPPY CHOW. She glued the label onto an empty glass jar (probably a pickles or jelly jar). 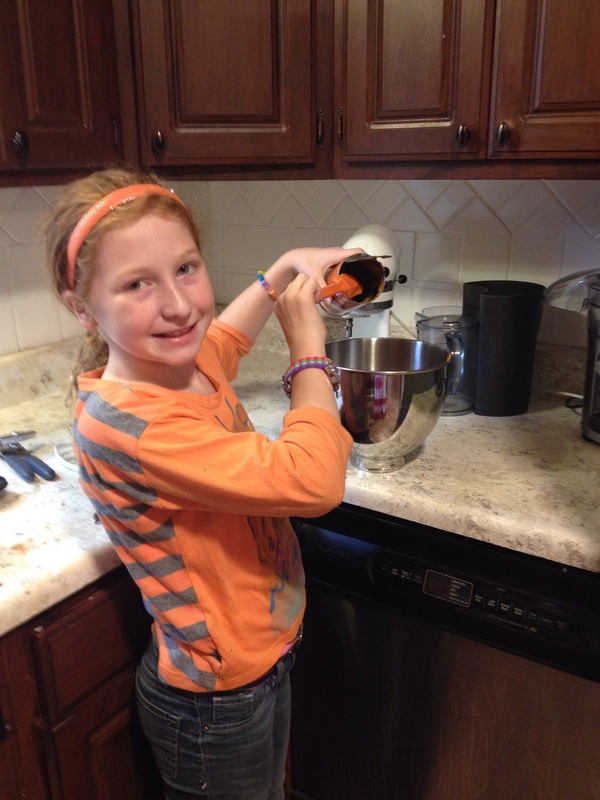 Then she added her homemade gluten-free chex-mix “puppy chow”. He still has the jar and he fills it with treats. It would be fairly easy for anyone to make this kind of gift! 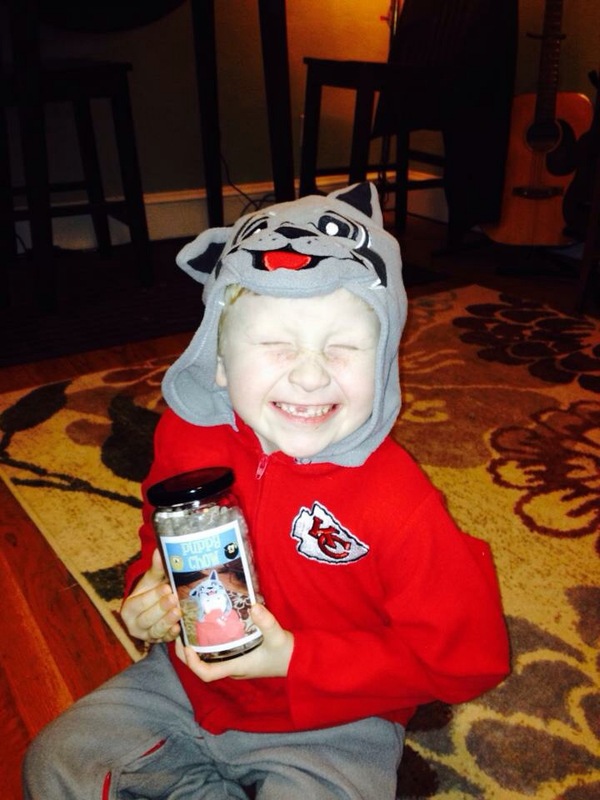 Glue the label and pictures onto the jar. Hand wash only!!! Do not immerse in water! 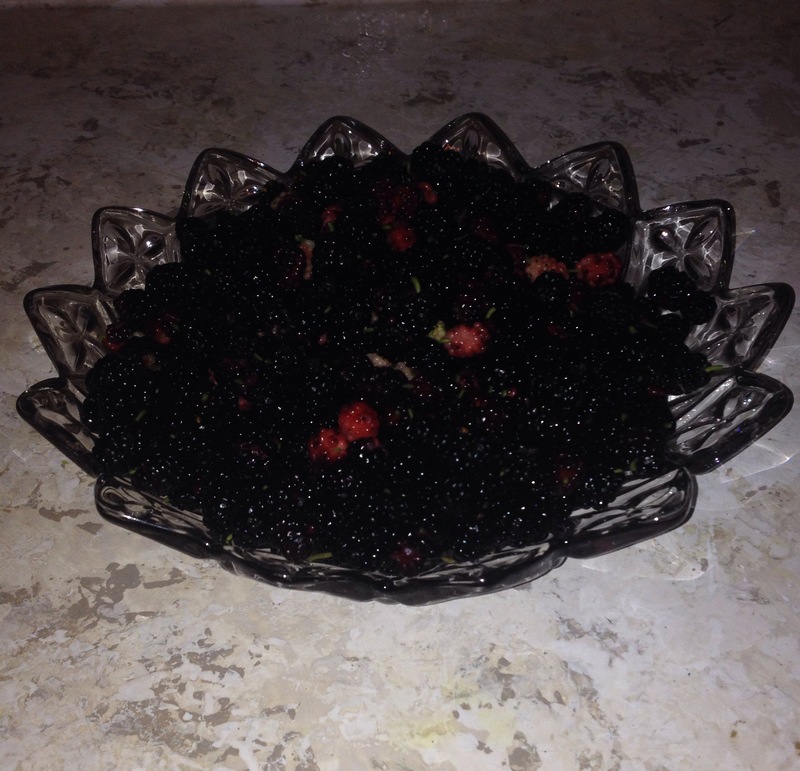 Last year, the kids and their dad collected mulberries from the back yard. 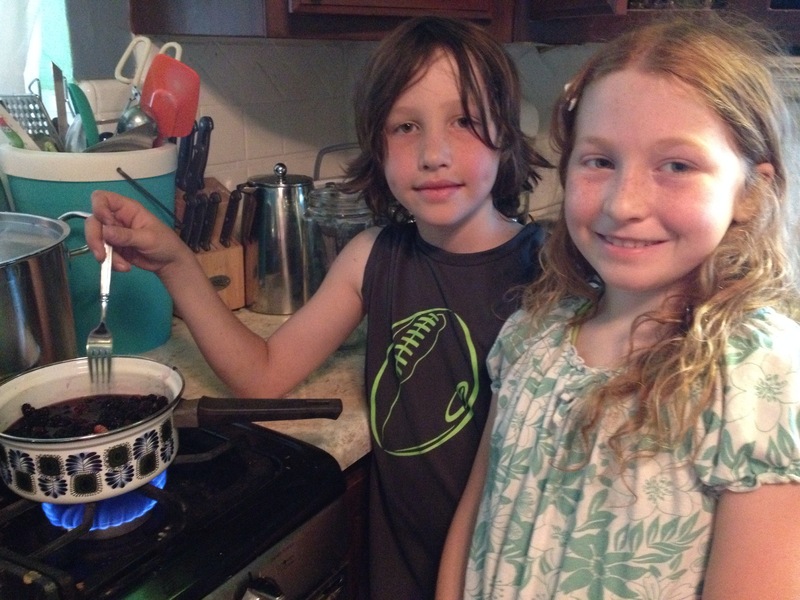 Then… they made mulberry jam! 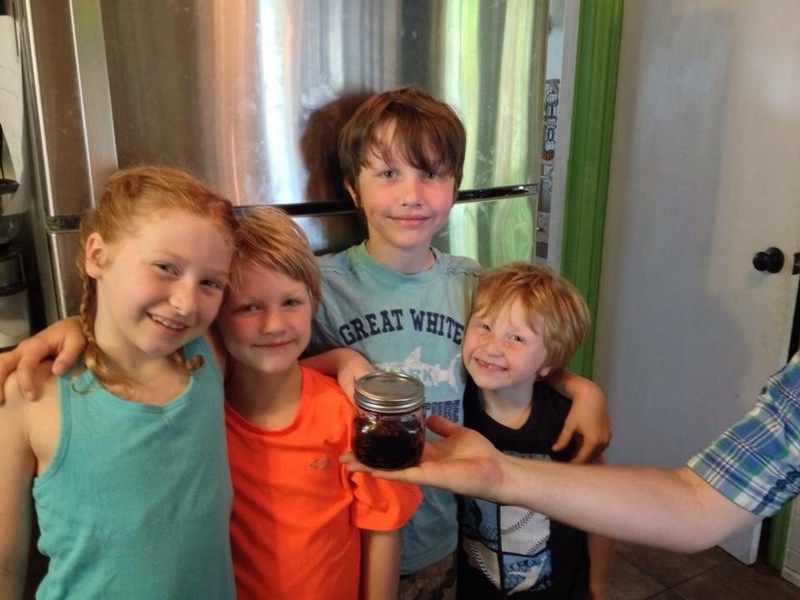 This year… the kids have free range to make the jam themselves! 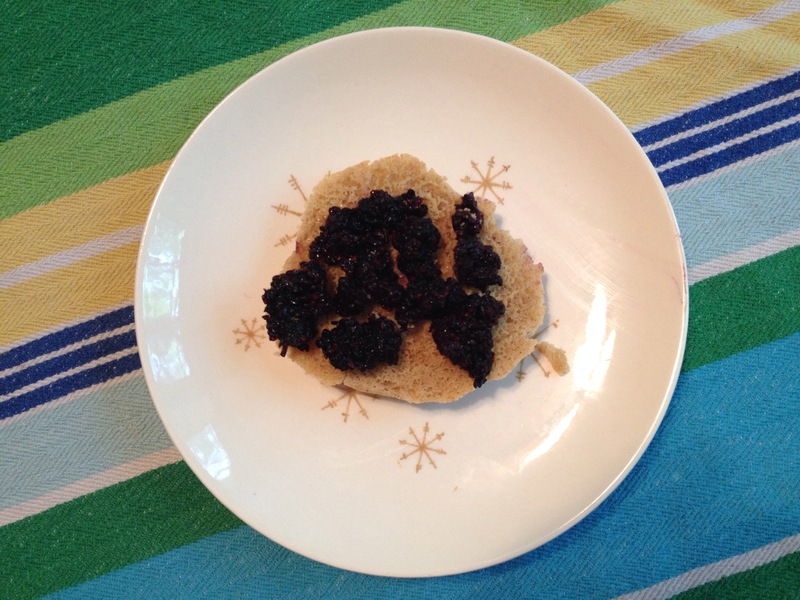 First – they collected the berries. Some they picked off the tree but most they just picked off the ground. Next- they washed them and put them in a small pot to boil. 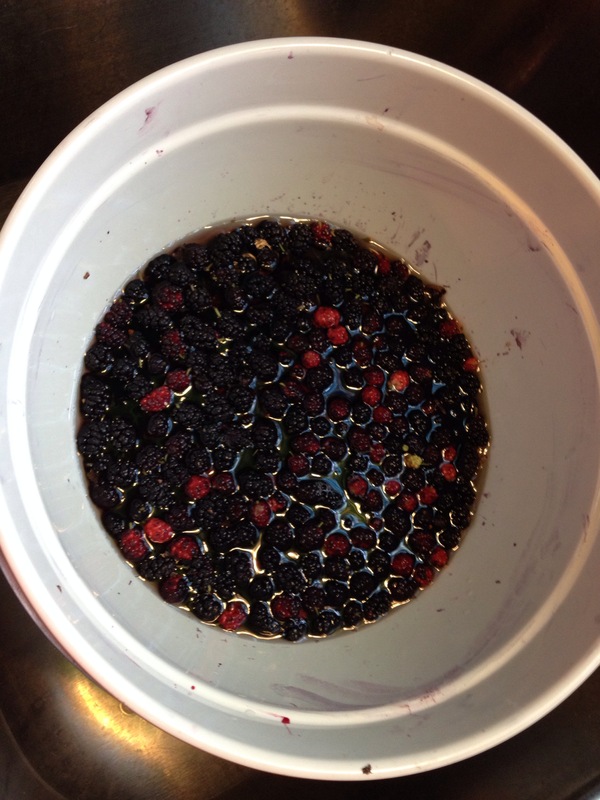 Andre began smashing the berries with vigor! 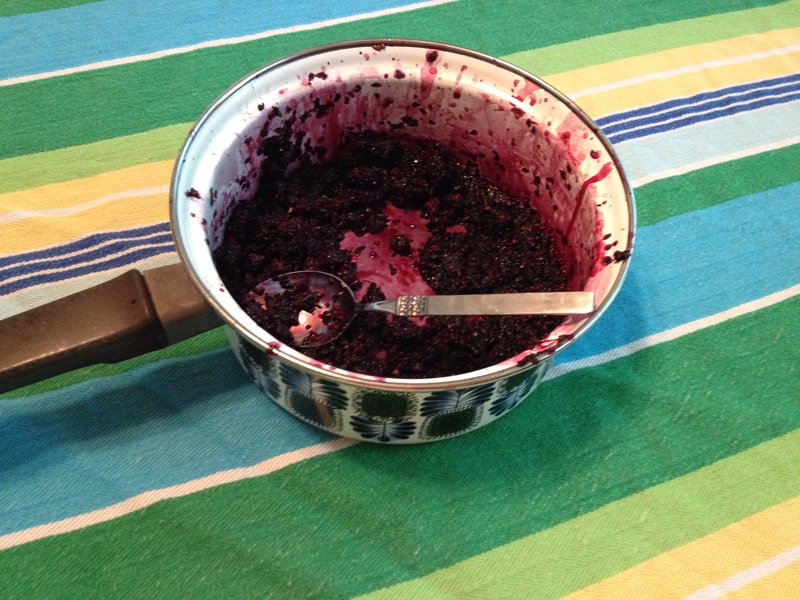 The jam simmered for another 20 minutes… And it was done! … And it tasted delicious!! I didn’t even bother putting it in a jar because I made some gluten free biscuits to eat it on – and knew it would be gone shortly. 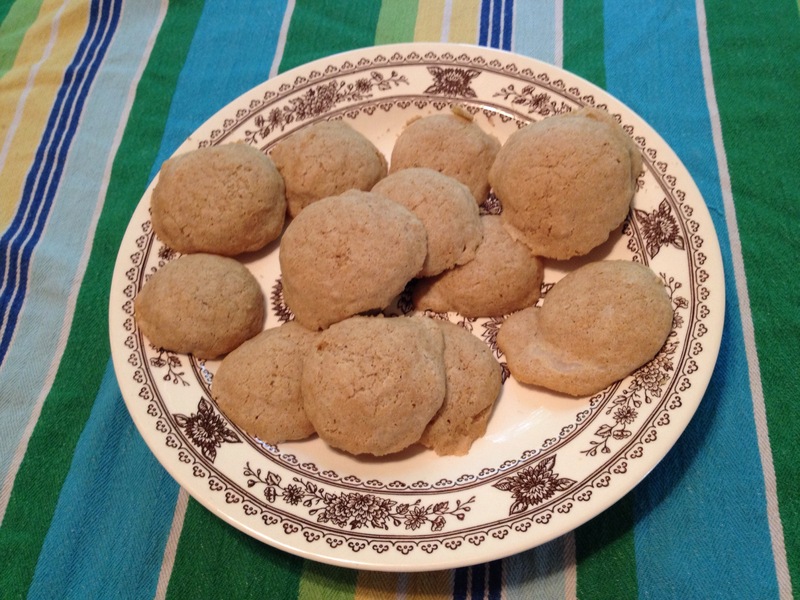 The batter is loose and sticky so I used a small cookie dough shaper to make the buscuits. 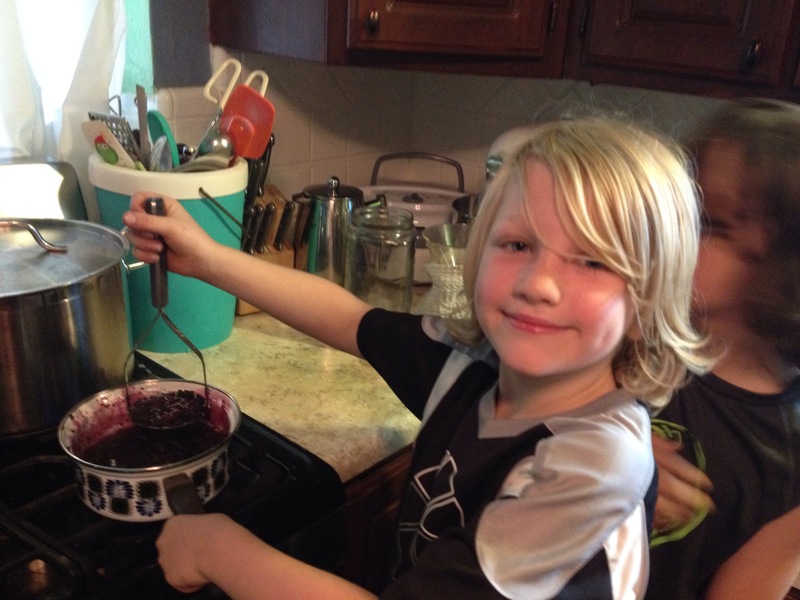 The kids loved the jam so much that they went outside and picked another bowl of mulberries!